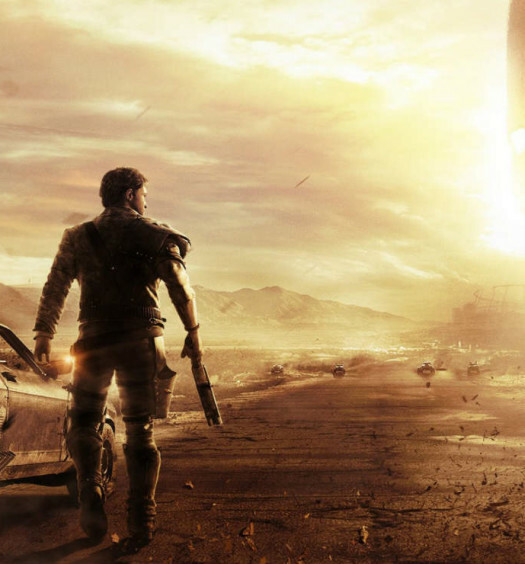 A glaring issue with Japanese-made games is that the vast majority of them never make it to the west. We’ve seen this recently with the perfect scoring Yakuza 5, its upcoming counterpart Yakuza Restoration, even games that should have been released over here, such as Ace Attorney Investigations 2. More recently, though, we’re lucky to have publishers stepping up to localise such games; Rising Star Games and NIS America have been doing God’s work in this regard, releasing a plethora of interesting (and often superb) Japanese titles for our enjoyment. Danganronpa: Trigger Happy Havoc is one game that’s been on my radar ever since NISA announced they’d be localising the enhanced PS Vita version, and I’m glad I kept my eye on it, because not only is it a must-own Vita title, it’s quite possibly one of the greatest video game stories ever told. Danganronpa takes place in Hope’s Peak Academy, an institution where the best and brightest of Japan’s students are summoned to further their education, so that they may become leaders in their field when they graduate. These “Ultimate” students all excel in a particular field, except for Makoto Naegi, whom was picked at random from a country-wide lottery to attend the school. 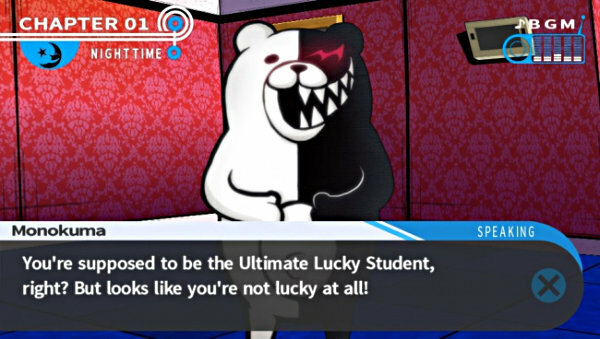 He’s the player character, and the “Ultimate Lucky Student.” He soon learns that his title is purely a misnomer, when he and the other fourteen students are unknowingly forced into a killing game by the school’s mascot and headmaster: Monokuma. His rules are simple: if a student kills another, they become the “blackened,” and some time is granted to investigate the scene of the murder and the school, before the group participates in a class trial to determine who the killer is. If the blackened remains undiscovered, they alone graduate from the school and the rest are punished (read: brutally executed). However, if the group exposes the blackened, they alone will be executed, and life will continue at the school as normal. What’s so fascinating about Danganronpa’s setup is the contrast of the killing game and the students’ life at Hope’s Peak Academy. When no one is trying to kill each other, Monokuma is perfectly happy to let them live out their lives in the school as they see fit, and this is where the diversity of the characters becomes apparent. Examples include Leon Kuwata, the Ultimate Baseball Star who actually hates the sport, and would much rather become a musician. There’s Yasuhiro Hagakure, the Ultimate Clairvoyant who doesn’t believe in the occult, Byakuya Togami: future inheritor of a colossal corporation (not to mention a pretty terrible human being), and my personal favourite: Kyoko Kirigiri, a badass investigative type who seems to see through everyone. The fifteen students all bring something unique to the table, and while they’re not astronomically fleshed out, they’re far from boring, as you’ll find out during your free time together with them. Couldn’t of said it better ourselves. As Makoto, you’ll work with the other students to uncover the mysteries surrounding Hope’s Peak, and why they’ve all been summoned there in the first place. You’ll navigate the school from a first-person perspective. During investigations, you’re tasked with inspecting rooms of interest around the school for clues that will help you with the case. These clues are then converted into Truth Bullets, which are used as ammunition to fight off contradictions during class trial debates, and it’s the class trials where Danganronpa truly shines. Once Monokuma has given you enough time to investigate (though it’s usually because he gets bored), he’ll summon the students to a class trial, to determine who the killer is. As mentioned, the class trials are the highlight of Danganronpa, and they are wonderfully crazy. Like Ace Attorney on acid, these trials turn courtroom discussions into hyperactive, rapid-fire debates. The main component of these class trials are, funnily enough, called Non-Stop Debates, wherein Makoto will listen to the others debate a topic in rapid fashion, much like one of Phoenix Wright’s brain-testing cross examinations. During the debate, a part of a sentence may appear yellow, representing a weak spot or a statement that contradicts the facts. 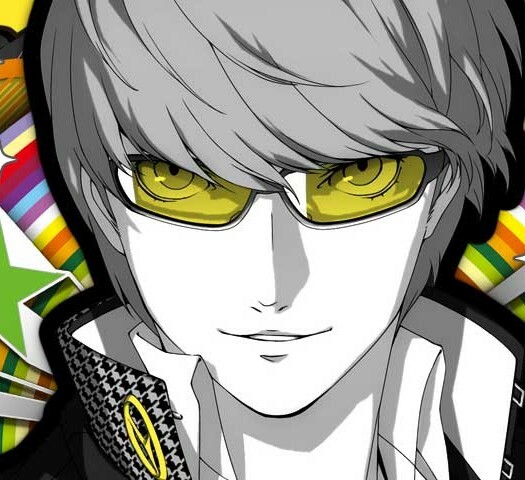 Matching the right Truth Bullet with the right weak spot will allow the case to progress, otherwise Makoto will take a hit to his Influence Gauge (essentially health), and embarrass himself in front of his fellow ultimates. The trials flow at a swift but steady pace, and the ever-increasing stakes get the adrenaline pumping in what is easily one of the coolest scenarios I think I’ve encountered in gaming. Other elements of the class trial include the Hangman’s Gambit, where you must shoot letters to form a word relating to an important part of the case, and the awesome Bullet Time Battle: a rhythm-based minigame that has you shooting down your stubborn opponent’s statements and besting their argument. Danganronpa’s take on the courtroom is rather euphoric; the trials flow at a swift but steady pace, and the ever-increasing stakes get the adrenaline pumping in what is easily one of the coolest scenarios I think I’ve encountered in gaming. If the story or the characters don’t do it for you, the class trials certainly will. Topping it all off is Danganronpa’s incredible style, in regards to its presentation and soundtrack. The menus, textboxes and other HUD elements seem to have taken inspiration from Persona 4’s stylings, as the two are remarkably similar in this regard. This is no bad thing, as Danganronpa certainly handles this style very well, and it compliments the interesting visual design. While the subject matter is undoubtedly violent, Spike Chunsoft have employed some interesting decisions to take an edge off the brutality; blood is pink, and the execution scenes are undeniably dark, but they leave a lot to your imagination, rather than show you them in full gory detail. Hope’s Peak Academy looks like any regular school, but walking through its halls is strangely atmospheric, adding to the tense nature of the situation. Individual rooms are presented in a sort of pop-up book style, with each springing to life as you enter them. It’s a very cool visual style, but it’s not without its drawbacks. For one, you have to watch these animations each time you enter a room, and while they are definitely cool to look at, they can become a tad obnoxious when you’re frequently darting between rooms during your investigations. Also, as everything is presented as a cardboard cutout, objects and characters can appear flat as paper if you move to one side of them. This also means the game can feel rather static at times, as there’s little animation to speak of. It’s an odd design choice, to be sure, one that probably was decided on to work around the limitations of the PSP. But this is the enhanced version we’re dealing with, so even some minor updates to the presentation couldn’t have hurt. Regardless, Danganronpa is still a very slick looking game, and looks impressive on the Vita’s OLED screen. As mentioned, the soundtrack is nothing short of incredible. There’s an eclectic mix here, ranging from sombre, despair-fueled tones to the upbeat, tension-filled songs of the class trials. Also worth mentioning is the superb English dub. Having watched the anime, I didn’t think it could live up to the stellar Japanese cast, but I’m happy to say I’ve been proven wrong here. Like any great mystery novel, Danganronpa: Trigger Happy Havoc is almost impossible to put down. Definitely an “up ’til 4am” kind of game, I spent many a sleepless night uncovering everything the game had to offer, and I have to say I believe it was time well spent. Fans of Spike Chunsoft’s previous works such as 9 Hours, 9 Persons, 9 Doors and Virtue’s Last Reward who are looking for their next mystery fix should look no further than Danganronpa. In fact, I’d recommend it to any Vita owner out there, because God knows we need all the great games we can get! A review code of Danganronpa: Trigger Happy Havoc was provided courtesy of NIS America. Danganronpa: Trigger Happy Havoc is yet another Spike Chunsoft masterpiece that has finally seen release on our shores. As a fan of visual novels and murder mysteries I cannot recommend it enough. If you own a Vita and like a good story, Danganronpa is an essential purchase.